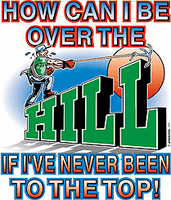 Shirt: How can I be over the HILL if I've never been to the top! 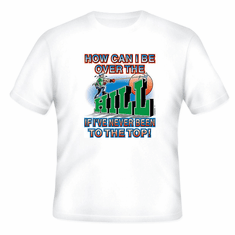 Home/Our HoneVille.com Store/NOVELTY designs/Shirt: How can I be over the HILL if I've never been to the top! 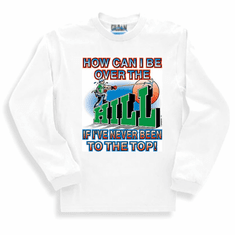 sweatshirt or long sleeve T-Shirt: How can I be over the HILL if I've never been to the top! 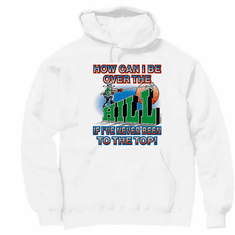 Pullover hoodie hooded sweatshirt: How can I be over the HILL if I've never been to the top!